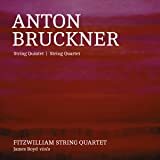 This has become my favorite recording of Bruckner's String Quintet. My previous favorite was the classic Vienna Philharmonic Quintet version on London/Decca--which is itself wonderful in every way and there is nothing negative that can be said about it. This Leipzig performance is just a shade more vibrant and involved, which is not to take anything away from the Vienna's version, but the greatest gain is in the sound, which is a whole lot better than the Vienna's version (recorded in the 1970s, I believe). This disc also has the substantial bonus of including Bruckner's String Quartet, which I had never heard before. I had known that many Bruckner cognoscenti summarily dismissed it as a "student work" and I had never heard it considered A-level Bruckner. But you know, now having heard it, I disagree--it's formidable and quite worthwhile, not simply pleasant filler. 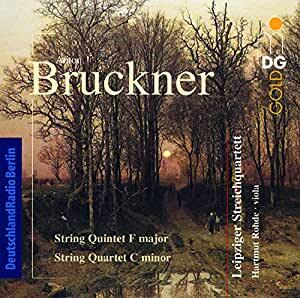 While certainly Bruckner's "language" and individuality had evolved quite a bit by the time he wrote the Quintet (which was written around the time of the 6th Symphony), you can still hear Bruckner's own voice in the Quartet, and it's well worth hearing on its own merits. 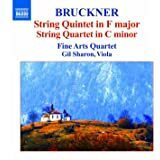 I'm at a bit of a loss to understand why Bruckner's String Quintet is not more popular. 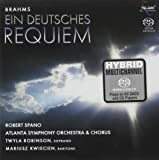 It's a magnificent piece of music, and it's lack of popularity, particularly among the wider musical public but to a certain extent also among Brucknerians, is inexplicable for something so good. This disc is a bargain and a half!